NO WE ARE NOT KIDNAPPING THE KIDS ! But they sure like playing in and on my wheelchair trailer, especially when my nephew Josh gets in there with them. Today was the second day on the road for Cesar, David Black, my nephue Josh and myself. 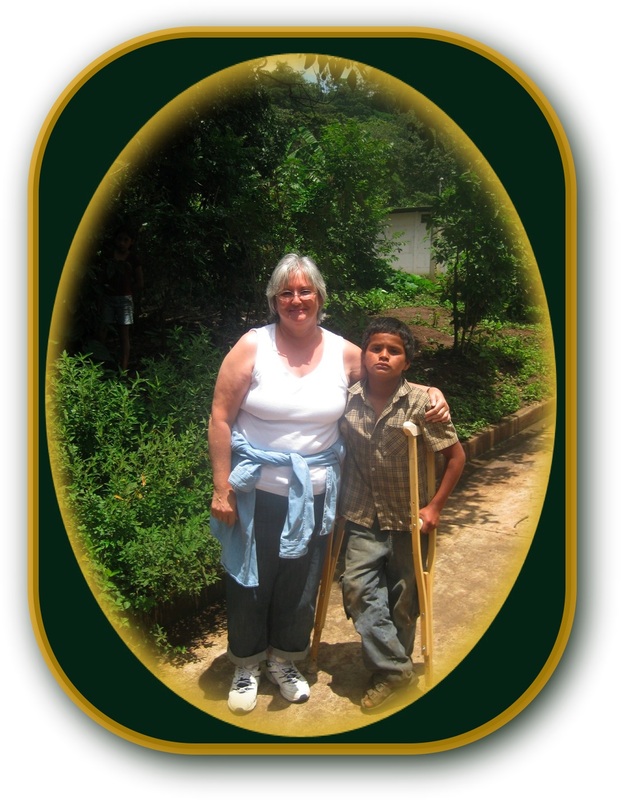 We visited with several families who have children that Bethel Ministries has school sponsors for. Our visit to the family of Walter and Wilmer, two of our sponsored kids, was a special one for my nephue Josh as he is the sponsor of eight year old Walter. Even though neither Walter nor his older brother Wilmer can walk both were extremely excited to go shoe shopping with us. After shopping we went out for ice cream and then returned to their home for a great time of fellowship and prayer with the family. 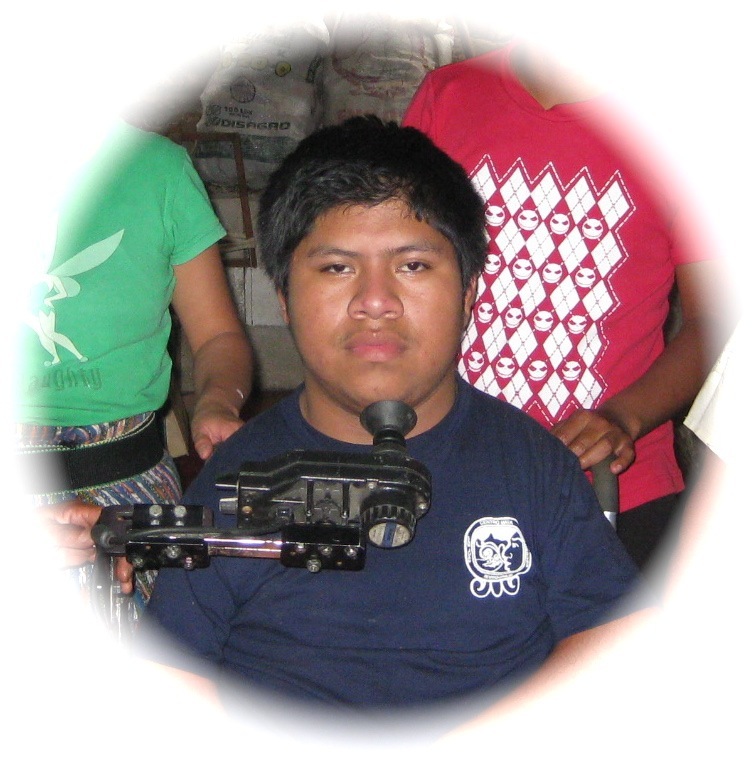 Manwell who has muscular dystrophy does not have the strength in his arms to propell himself anymore so nearly a year ago I promised him a power wheelchair so I that he could continue going to school. After all this time we finally had the batteries and a wheelchair that suted his needs. 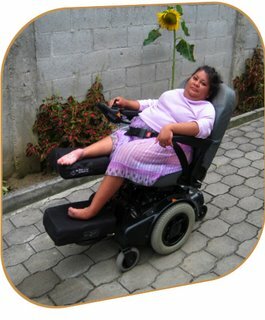 This wheelchair just happened to be the first Hopehaven Bumblebee retrofit power chair that we have given out. Hopefully it will not be the last one though. It fit Miguel like a glove and after only a few adjustments he and Cesar were on their way down the road for a test drive. 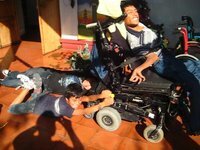 Yesterday Moises and Osmin, 2 of Pat's boys, helped me deliver a repaired power wheelchair to someone who lives a few blocks away. 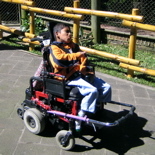 This was the first time that Moises has ever driven a power wheelchair and he did a great job. Thanks for the help guys. On January 15 I pruodly posted pictures of a Hopehaven Honeybee seating system that a few of us retrofitted onto a power wheelchair chassis. It was not until yesterday when we put baterias into the wheelchair that we realised that we mounted the seating system backwards. Thankfully it only took a few minutes to correct out mistake. Now the operator can see where he is going instead of where he has been. Does anyone have a good recipe for humble pie? (I will leave it up to you to figure out which picture is correct.). My Friend Pat Duff made an enormous step of faith last April by purchasing a home for the 4 boys with disabilities that live with her. Right now she and her boys are facing the possibility of loosing that home. Please take the time to read what she has written and also take time to pray about what God would have you do. Last May, we signed a contract to purchase our present house in San Pedro Las Huertas, a small community outside of Antigua, Guatemala. We moved in October 26, with the help of a team from All Nations Church. We have been renting the house as we have been raising funds to cover the balance. Our final payment is due next month, and we are still short about $100,000 of the $170,000 we are paying for the house. We're loving it. . . This house has proven to suit our ministry needs in almost every way. While the condominium struggles to accept our young men (there is still much discrimination against those in wheelchairs in Guatemala) the town itself has opened itself up to the guys and they thoroughly enjoy living here. We have met with the attorney for the owner, asking for an extension. We should have the answer on Monday. There is a possibility that we will have to nullify the original contract and find somewhere else to live, but we are earnestly praying that the owner will work with us to find a mutually agreeable solution. We ask you to join us in prayer during the next 5 days as we ask God to move mightily. Do I believe we have made a mistake in moving to purchase this house? I believed in April that this was the house God had led us to, and continue to believe this. I have counseled with fellow missionaries who have many more years of experience in ministry and fund-raising, and they, too agreed we should move ahead with the purchase in April, and still believe we should expect God to do a great thing. I can do no more than believe Him and be obedient to his leading, even when it feels like foolishness. Foolishness to the world. . .
And I do feel foolish right now. I am someone who likes to have their ducks in a row and craves security. God is again teaching me to relinquish control of every aspect of my life and ministry to Him. He is teaching me more firmly that my only security can be found in obeying what I believe He is leading me to do as best as I can. This is humbling and scary. I have asked His forgiveness for anything I may have done to impede His movement. I continue to trust His goodness and great love for us. It's also exciting. As I prayed last night about our current needs, I asked God what was going to happen to us. I received one word: "Watch." Therefore I am asking you to join us as we watch and pray in the coming days. I don't know exactly what God has for us, but I believe it is as good or better than what we hope for. My pastor here, Mike Watkins, keeps telling us to dream dreams that make God sweat, or we are dreaming too small in serving a God so great. I think this qualifies. If you feel led to partner with us to secure the needed funds to complete this purchase, the following are some suggestions. Forward this email to others you know who are interested in missions and/or those with disabilities. Share with your church what we are doing among the least of these. 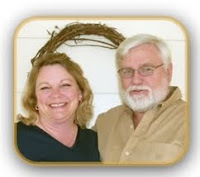 Ask them to join with us in prayer, and by financial support if God so leads them. Share our website with them. 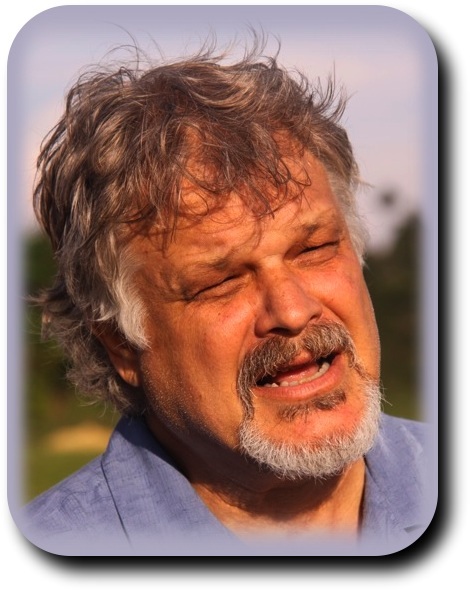 Invite me to share our work with your church, small group, Bible Study, or even a few neighbors. I will be in the States from mid-April through whenever my invitations are fulfilled! Host a "Missions and a Movie Night" at your home inviting your neighbors and small group to join you for a movie, and provide snacks and give folks the opportunity to make a donation to our ministry. Contact me at guatemalagrandma@gmail.com for more information. As a family, eat beans and rice for dinner for a week, and donate the money you have saved to help us reach our goal. Join us by helping with our annual fund raising dinner and silent auction to be held in April. We don't have a final location, but I'll keep you informed. Email Pat for more information. Great teem effort today. We retrofit a Hope Haven Honeybee seating system onto a Jazzy power chair undercarriage. We plan on doing more of these on Wednesday. Results- a reclinable, fully supportive, specialty power wheelchair. Now the kids in Guatemala can have the best of both worlds. This morning Cesar, Marcos, Moises ( who was the social worker for Bethell ministries) and myself drove up to a village near Sunpango. we have 3 boys up there who are confined to their homes and are in need of a tutor. We thought we had one hired but at the last minute things fell through. We spent most of today visiting the boys and their families and following up on leads for a teacher. Please pray that we can find one soon as the new school year is about to begin. After being away from home for a week I was greated by five of my boys who welcomed me with a surprise birthday party. They had pitched in and bought me an enormous birthday cake. These guys are great. At least I thought they were until they byrried my face in it. (Guatemalin tradition) Don't worry guys I will get even with you. 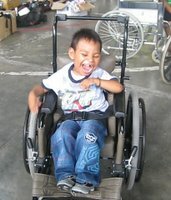 Yesterday was a "Do Dah Day" but This morning we are near Floris giiving out and fitting five of the Hopehaven wheelchairs that we took with us. 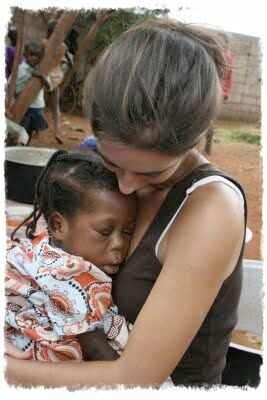 And yes, we do believe that loving on the kids is one of the most necessary parts of any distribution. I am reminded of how rough life as a missionary isn't when I have to wake up to mornings like this. David and I plan on just hanging out while Fernando and Sergio explore the Tikel ruins. After being on the road for two and a half days. Fernando, Sergio, David Black and I finally arrived at the home of the man in Beliez who had not been out of his bed since he was shot six years ago. Needless to say we were a more than disappointed to find his home deserted. I thought the worst figuring that he had died and that his father had moved away. We tried in vain to find someone next door and then walked down the dirt road to see if we could find out where they had gone. Finally we found a man that told us that he had moved to live with realitives in Guatamala because his elderly father could no longer care for him. 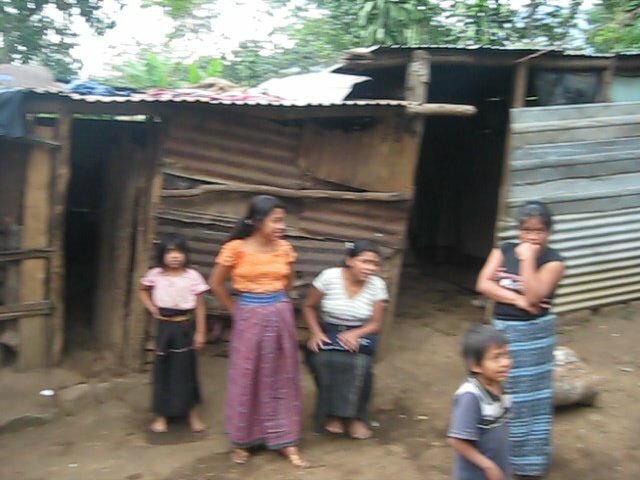 After talking to a few more people we learned that they now lived in a small village in Guatemala that we had passed the day before. Well at least it was a village thup we would be going through on our way back from Beliez. We had intended on heading to Beliez City to spend the night but the vote was unanimous that we head back to Guatemala to give find this man and give him the lift and the wheelchair that we had for him. We did a lot of praying on our way back to Guatemala as the information and the directions that we had were sketchy and all we had was a picture and a name. About an hour back into Guatemala we pulled into the same service station where I had fulled up my car the day before. Sergio took the picture over to some people that were there and asked if anyone knew this man. At first all he got was a few blank stares but a lady walked over to see what was going on and told Sergio that she knew the man and that he lived a few hundred yards from there. A few minutes later we were inside of a small dirt floor house visiting with the man that we made a promise to nearly a half year ago. Most people that we make promises to don't think that we will really keep them. 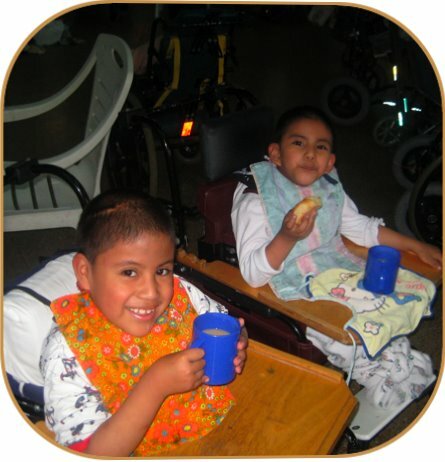 Especially when it is a promise that we will drive for two and a half days to give them a free hoyer lift and a speciality wheelchair. This man however was an exception. He looked up at us with a smile on his face and said "Hay you guys are a month early. I didn't expect you until February. Actuallyit would have been nice if we could have been there three days earlier as January 2 was his thirty ninth birthday. I still remember telling him the first time that I met him that it would likely be at least six months before we would be able to get a lift and a chair to him. To which he replied " I have been lying in this bed for six years so six months more won't be all that long to wait. Soon the four of us and a few neighbor kids had the lift and the wheelchair assembled. One little girl even agreed to be our test pilot and try out the lift. Next Sergio showed the family some excersises and soon they had him in a sitting position. He felt dizzy at first because he had done nothing but lye flat on his back for so many years but Sergio took his time and before to long he was being pushed out side in his new wheelchair as David and I made some final adjustments and Sergio filled out the needed paper work Fernando explained to the family that it was because of the love of Jesus that we had come and not to thank us for the chair bou to give thanks to God. Fernando then led us in prayer for the family. Did I ever mention that I am very proud of my boys? Or that I love it here in Guatemala? Thank you Jesus for another wonderful day! Packed up and ready to head out to Belize in the morning. 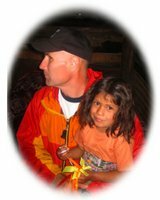 Six months ago I met a man there that has not been out of bed in over six years. 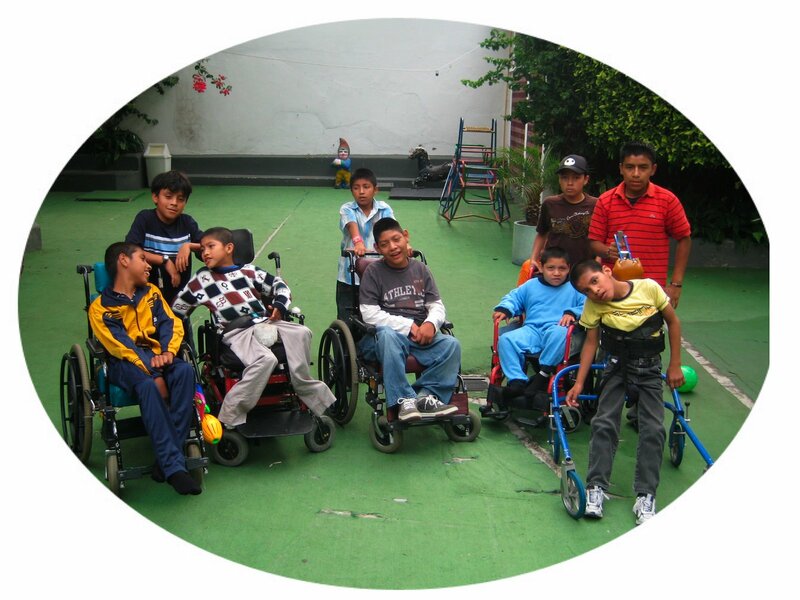 A wheelchair and a Hayer lift that Hope Haven Guatemala will be providing should remedy that. This morning I woke up very thankful. First of all I was thankful that the fireworks quieted down enough that by 2 AM I could get to sleep after removing my hearing aids and putting my fingers in both ears. After getting up I decided to look through the pictures that I had taken during the past two days and I was immediately reminded of how thankful I am for so many other ministries that are here in Guatemala and elsewhere that I have the privilege of working with. I would like to name and thank each one of them personally but the list of names would go on forever. There's so many people and ministries hear Guatemalan, in the United States, and in Canada that I work with that make all of this possible. Were it not for people like you there would be no wheelchairs. there would be no vitamins. there would be no medicine, there would be no food, there would be no solar lighting systems, there would be no schooling for those that cannot afford it. There would be no home with open doors that allow kids who need a safe place to come and visit or just get a bite to eat, there would be no fuel or transportation to go out and visit these people and to personally show and tell them of a loving Savior who makes all this possible. Thank you. More importantly, I want to thank each and everyone of you that remembers us in your prayers. Without Jesus all of this would be in vain. Have a wonderful God filled new year. Today we had a great day. some of my boys and a girl that had helped out at camp asked if we could go and visit some of the teens that came to camp from an orphanage in Guatemala City. the nuns that ran the orphanage made us feel very welcome even though we had called in advance. we spent several hours there visiting, repairing chairs, and feeding the kids. after lunch we took several of the kids to a park just across the street. Saying goodbye was not easy and on the way home several of my boys asked when we could do this again. This morning Pat, 7 of my boys, Cesar's girl friend Jemma, and I headed up to an Aldia near Tecpan. Pat and I visited with and brought food and blankets to 5 widdows and their families while the boys and Jemma played games with with the village kids. Some of the ladies cried when we gave them food for their families saying that they had little or nothing to feed themselves or their children. After a few hours of games we all gathered under some trees and did a few penyatas (spelling). Then we gave out juce and cookies. There were about 60 kids but we had brought enough Bennie Babies and Hot Wheels cars that every child received a present. Those of you that know me know that I do not like the idea of Americans coming in and handing out gifts as though it was candy but over the years we have established a long term friendship with these people and were even reminded by several of them that this was the reason that they liked to see us come and it really that our friendship ment far more to them than any present that we brought. Before leaving we shared with them about the one important gift of Christnas, the gift of God's own Son Jesus Christ. I just want to give a special thanks to Pat, my 7 boys and to Jemma. Without you this would not have been possible. Today Cesar, Marcos, David, little David and Iinstalld the solar lighting system in another home. This home where a family of six lives is in such bad shape that we had difficulty finding a place on the tin roof that would hold the solar cell. Also some of the wood beems were so rotten that was difficult to hang the light or to install switches. The boys did a wonderful job though, and in two hours time this family had lights in their home. Since we weren't too far from where Marcose grandmother lives we decided to pick up some fried chicken and have an early Christmas dinner with her. By the time we hiked the dinner in to where she lives it was a bit on the cold side but she thoroughly enjoyed it and our visit. Marcos invited his grandmotherto ride along to the mall to mango with us and spend Christmas with his family but grandmother seemed reluctant to leave her little cabin in the woods. Yesterday Pat and I visited some old friends in an Aldia neer Tecpan. We discovered that many of the families are struggling to put food on thier tables. Many of the kids are not going to school because they have to work to help support their families. Today Marcos, David and I Brought Samwell, one of the boys who has been working since he was 10 years old to help support his windowed mother 3 brothers and 1 sister, a bicycle so he will no longer have to walk an hour and a half each way to and from work. Crssar and a friend spent the good part of a day finding a bicycle that would withstand the rough dirt roads that Samwell will have to navigate. On Thursday Pat, Some of my boys and l plan on returning with some food, blankets and Christmas presents for many of the families.